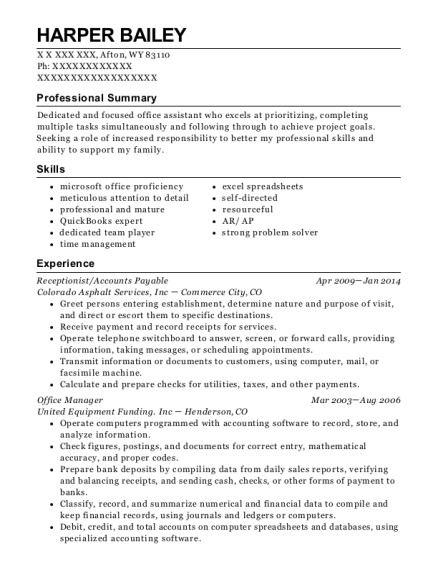 Establish and enforce rules for behavior, and procedures for maintaining order. Serve food or beverages to patrons, and prepare or serve specialty dishes at tables as required. 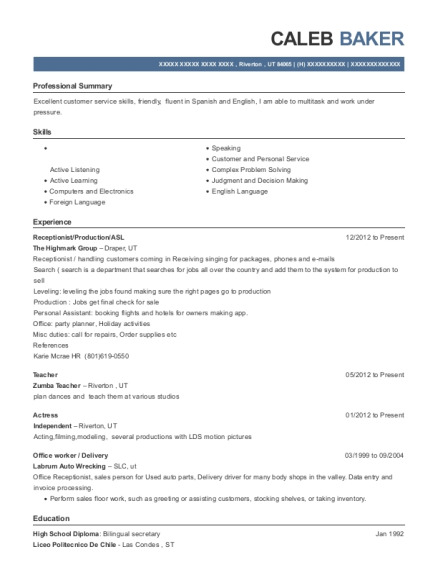 This is a resume for a Receptionist in Dumont, New Jersey with experience working for such companies as Norm Forsyth and Suzanne Cowan. 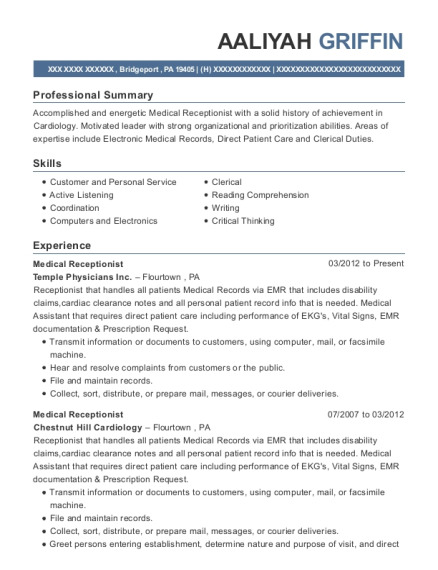 The grade for this resume is 0 and is one of hundreds of Receptionist resumes available on our site for free. 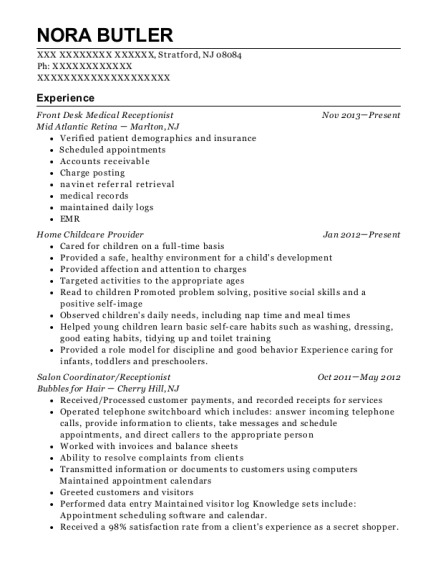 Use these resumes as templates to get help creating the best Receptionist resume.